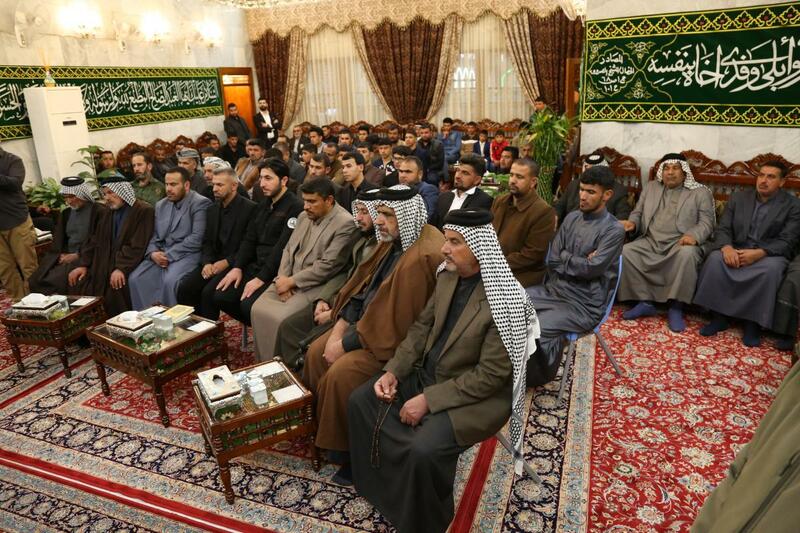 Sayed al-Safi praises the role of the Iraqi tribes in defending Iraq and its sanctities. 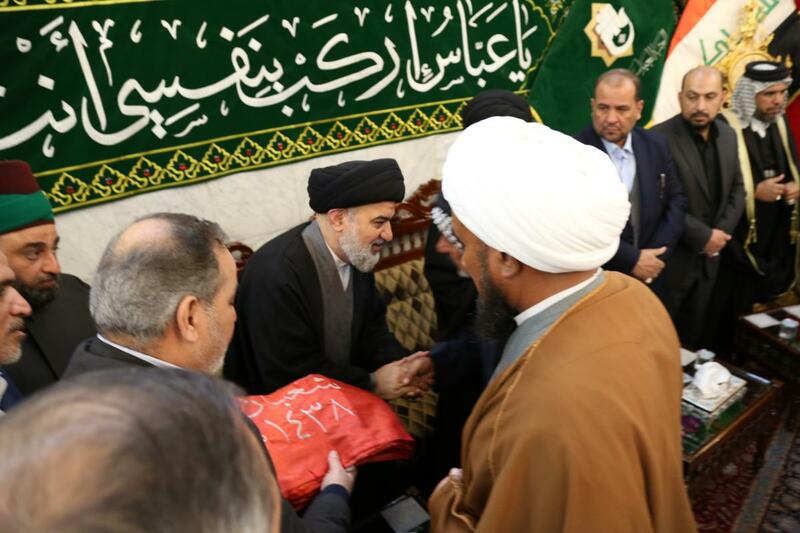 The Senior Official of the al-Abbas's (p) Holy Shrine; His eminence Sayed Ahmad al-Safi, praised the effective role played by the Iraqi tribes in confronting the terrorist gang and the aggression of ISIL during the major confrontation of Iraq and its people in liberating its land from its clutches, as well as its role in preserving and perpetuating the eternal Hussayni rituals. 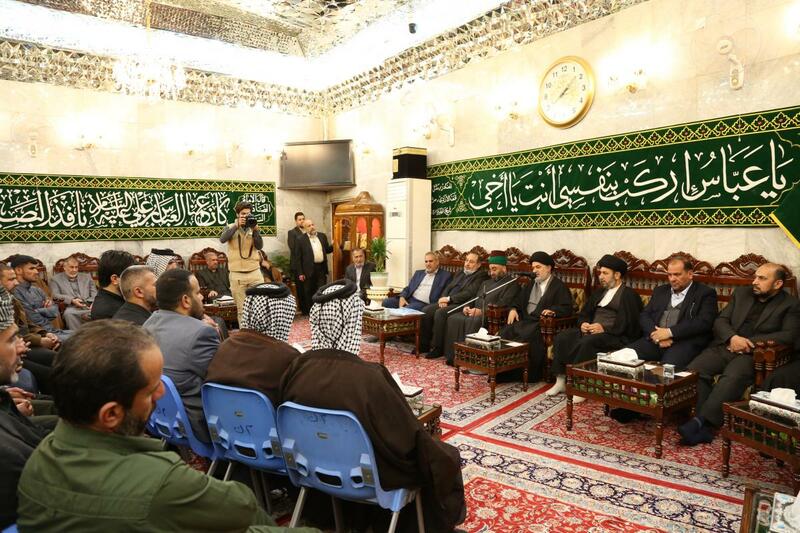 Sayed al-Safi said during a meeting with a group of sons and sheikhs of the tribes of Bani Ka'b in Wasit province in the hall of honors at the al-Abbas's (p) holy shrine: "Praise be to God. Your clan, like other Iraqi tribes, has made great sacrifices presenting many martyrs who quenched the homeland with their blood, they are the source of our pride, and it has presented large numbers of the wounded who are living witnesses to what happened on this country, and you have harnessed precious and noble efforts for the sake of this homeland. And this is the custom and noble tradition of the Iraqi tribes that had an honorable position in defeating the terrorist ISIL gangs, whether by men or by moral support. We do not forget also the role of these Tribes - such as your noble tribe - to revive the rites of Imam al-Hussayn (peace be upon him). " 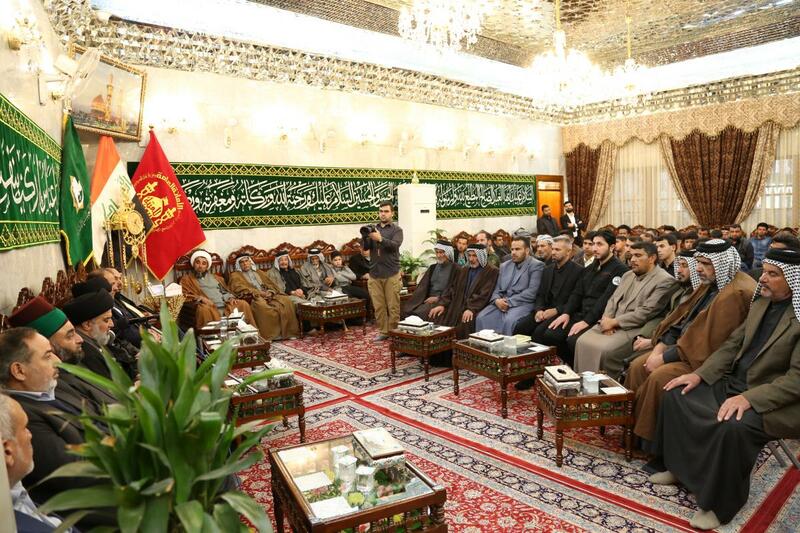 Sayed al-Safi also said: "In the days of the major war against the terrorist ISIL gangs, the tribesmen from the servants of the Hussayni procession had an honorable position, by supporting their fellow fighters in order to achieve a decisive victory. This behavior is only the result of the education that is deepened in people's hearts by the Minbar of the master of martyrs (peace be upon him). "